Third party pharma manufacturing in Bangalore – Third party pharma manufacturing is also termed as contract manufacturing or contract development and manufacturing organization (CDMO). These companies provide various manufacturing services to the pharmaceutical and Biotechnical industries such as purchasing raw material, production, packaging, and quality control. There are many pharma companies in the need of hiring company which offer third-party pharma manufacturing in Bangalore. Innovexia Life Sciences is the best option for such companies. Innovexia Life Sciences mainly manufacture the solid and liquid form of dosage and also injectable. Our Company produces active pharmaceutical ingredient (API) on the basis of client’s demand. If you are thinking of owning a pharma company and looking for the best third party pharma manufacturing in Bangalore then Innvexia Life Sciences may be the best option for you. Our manufacturing unit is certified by GMP, WHO, and ISO organization. To contact us, call at 08048718462 or simply text an email on innovexialifesciences@gmail.com. For the development of a drug, it takes high investment and R&D which is also time taking so rather than building a manufacturing unit business owners hire the third party manufacturing for pharmaceutical products which not only reduces the production cost but also labor cost. Third party pharma manufacturing has its own manufacturing unit. It provides a wide range of high-quality pharmaceutical products at competitive cost. People can start the business with low investment. Innovexia Life Sciences is the best third party pharma manufacturing in Bangalore that was first introduced in the year of 2011 and in half of the decade, we have earned a respected reputation in the pharmaceutical sector. Innovexia is committed to delivering the high-quality products for better health care which makes us the best third-party pharma manufacturing in India. The company is aimed to transform itself into a global pharmaceutical company by combining strategic research and excellent formulations. Economical Manufacturing – R&D for the development of a drug or medicine takes a big investment and then after it will cost more to build a manufacturing unit. The third-party manufacturing saves your production cost and labor cost. Advanced Technology and Skills – The increased demand of the pharmaceutical products require advanced technology and advanced skills. To bring the new medicine in the market require advanced skills with advanced technology Which third-party manufacturing units already have the established expertise to manufacture the drug at a complete scale. Global Recognition – CMOs takes care of all sales and marketing services to increase the reputation of their associated company. 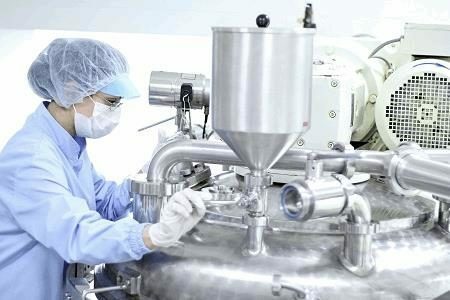 If you select a good third-party manufacturing then you can further provide good quality pharmaceutical products that will increase the reputation of your pharmaceutical products as well, among your customers. Expand Business At Low Financial – Third party manufacturing allow you to expand the business at low investment. A good company always provide you with high-quality products that help you create a good market. Operational Services – Third party manufacturing provide services such as on-time delivery, sales and marketing, and manufacturing products as per client’s requirement. Innovexia Life Science offers more than 1000 pharmaceutical products. Our products are manufactured in GMP and WHO certified plants. Innovexia uses excellent formulation for manufacturing our products that have lesser side effects on bodies. After completing the annual sales target you will be esteemed with good incentives. The Company provides sales and marketing services that include Visual Aids, Reminder cards, LBL, Visiting card, Order books, ASM bags, MR bags and more. Ionnovexia offers a good domestic market. Our multidimensional range of drugs is covering several health categories. You’ll get creative packaging of products and on-time delivery. 100% quality assurance is provided to the customers of Innovexia Life Science. The company has a secret team for quality control who takes care of each range of pharma products. We follow the latest international quality standards to manufacture products. If you are looking forward to starting a new business in this sector and want to become a partner with the loyal third party pharma manufacturing company in Banglore then Innovexia Life Sciences is the best option for you. We are searching for young and dedicated people to join us as the business associates. We are happy to serve you our supreme services.